For the 15th Legendary Game on Baseballisms we decided to look back for a positive outcome for the many Chicago Cubs fans who visit this site regularly. We have had conversations with book authors who believe the Cubs may have initiated The Original Curse, and have had a Fan Submission detailing the birth of a baseball tradition during that same Series. Now we have come to the conclusion of Game 6 of the 1945 World Series, as presented in our ongoing batter by batter account summarized by yesterday’s final scoreboard. In the bottom of the 12th inning, the Detroit Tigers’ Dizzy Trout, going on his fifth inning of relief after having been the winning pitcher in Game 4, came on to face the 8 – 9 – 1 hitters in the Cubs lineup. After a routine groundout by catcher Dewey Williams, Trout gave up a single up the middle to pinch hitter (and future MLB Umpire) Frank Secory. Cubs manager Charlie Grimm sent in Bill Schuster to pinch run and with two outs he scored all the way from first on a double to left field by star third baseman Stan Hack! Seeing the historic names from the past is certainly part of the fun with these Legendary Games, but they also provide a glimpse into the way games were managed and how they have changed over the years. Can you imagine the howls on Twitter when Grimm had the second batter of the game execute a sacrifice bunt or in the very next frame gets bitten after issuing an intentional walk to load the bases, when starting pitcher Claude Passeau walks the very next batter sending home the first run of the game! The Ron Washington critics would have lost their minds. Cubs fans will enjoy seeing the production from familiar names at the top of this lineup including the aforementioned Stan Hack going 4 for 5, and popular Andy Pafko contributing two hits. There was 1945 NL MVP Phil Cavarretta knocking in two with a single in the fifth and sending Tigers started Virgil Trucks to the showers. A Baseballisms hat tip goes out to the Tigers Hank Greenberg who launched a mammoth home run to cap off the four run rally in the top of the 8th, to send this game into extra innings. It was during the summer of ’45 that Greenberg returned to MLB action after having volunteered for military service after the bombing of Pearl Harbor. For Cubs fans it has been a long time since this type of edge of the seat action took place on the grand stage, but in the meantime, this game truly belongs in the pantheon of Legendary Games for all baseball fans. We hope you enjoy these little games that we present .. tomorrow we start our 16th Legendary Game. Let us know in the comments if you have any guesses as to which Game we are presenting. The first to guess correctly gets a Baseballisms t-shirt! We would love to hear from you. 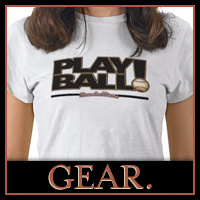 Send a Tweet to @baseballisms with a quick message, or send us an email. We look forward to sharing the poetry of the game of baseball!